Jake McVey comes from Iowa and he tours the country with his band playing shows and writing songs. An up and coming country artist Jake puts on a great show and his fan club is growing by leaps and bounds world wide. 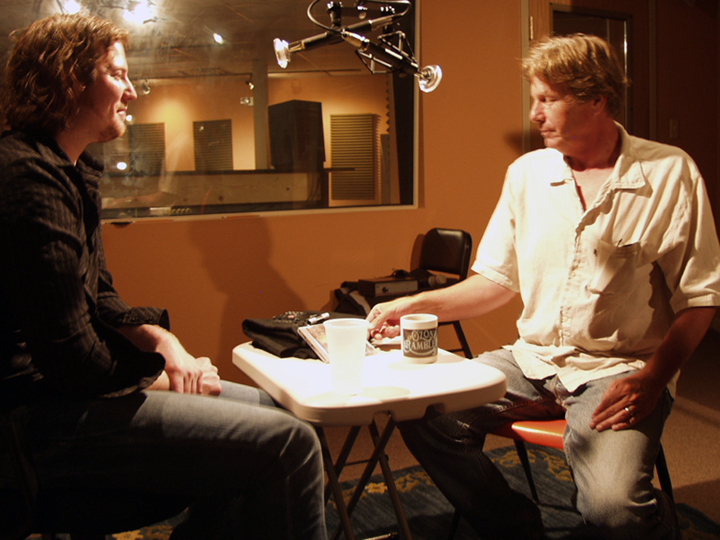 This interview was recorded at Michael Holmes studio in Nashville on June 4, 2008 while Jake was in town performing for the CMA Music Festival known world wide as Fan Fair. Meet Jake McVey. Bronson: You got into town, come in from Michigan? Jake McVey: Yep, clear up in Waters Meet, Michigan, a casino up there. Bronson: So you're playing a lot of casinos now? 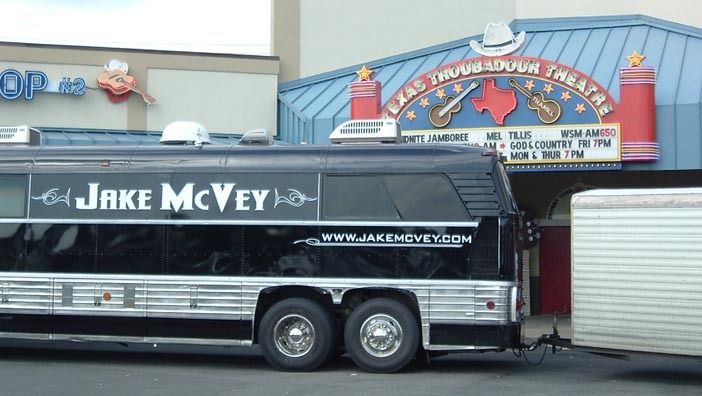 Jake McVey: Casinos, fairs, anything I can get my foot in the door at, you bet. Bronson: What part of Iowa are you from? Jake McVey: Originally, it's like South East Iowa. Bronson: What town were you born? Jake McVey: Washington I was born in, after that we moved around quite a bit. Cedar Rapids, Iowa City, and I lived in Burlington, Mediapolis area quite a while too. Bronson: So how did you get started in music in the first place? Did you just have it in school and you liked it? Jake McVey: Well my father was a drummer, my mother was a piano player. I mean I just grew up with music, started playing bass guitar when I was like 9. Bronson: That was your first instrument? Jake McVey: Yeah, first instrument then keyboard, went to piano, tried drums. Tried everything until guitar and singing stuck. Bronson: Was your folks the ones that were teaching you or were you teaching yourself? Jake McVey: Just mostly myself, yeah just listened to a lot of music you know. Bronson: Like play along with the radio, play along with the record player thing? Jake McVey: Anything you can get your hands on, yeah..
Bronson: So the first time you played for money? Jake McVey: I would probably of been 11. Bronson: And what was that? Jake McVey: It was a buffalo roast (laughing). Bronson: A buffalo roast? Like a wild game feed? Jake McVey: (laughing) Yeah a wild game thing. Bronson: When was the first time you formed a band and actually, you know, decided you were going to do this for a living? Jake McVey: I would say probably when I was like 19 is when I really started hittin' it real heavy. I mean I was always in and out of bands and stuff but when I hit 19 I really started taking it more serious and really did what I had to do to get from point A to point B. Yeah went through a lot of bands but you know, a lot of musicians. I mean it's just the way it is but it really helped out quite a bit. I learned a lot to get from where I was to where I am now. Bronson: You've got your new album that came out. It's Jake McVey Unkown Highway. Number 1 on the independent charts? 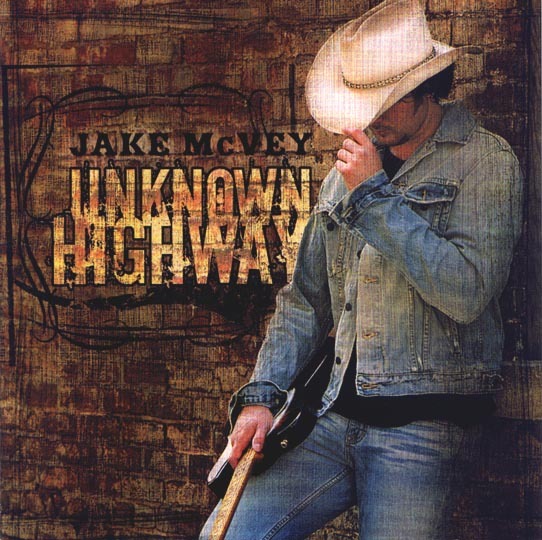 Jake McVey: Yep, the song "Unkown Highway" hit #1 about, I think it was 3 or 4 weeks ago. Cashbox did a nice little article about it and yeah it worked out pretty good for me. Helped increase a little bit of the pay on some of the venues (laughing). Bronson: So now how did you get into songwriting? Jake McVey: (laughing) Ol Pappy, you bet man. I was in this guys band, Dave Mathias, and he was workin' with Pap you know writin' and I said, "Well I'd like to come down sometime", if you know Dave you know some people can be .. (laughing) you know just very protective to who they're with, especially in Iowa, you know? Jake McVey: So went down and started doin' some writing with him after they did their project and he's been writing with me ... the guy calls me all the time with new song ideas and we still do quite a bit but yeah, I think we've probably written anywhere from 3 to 500 songs. I mean it's just ridiculous. Bronson: He's somethin' else ain't he? Bronson: Johnny, you know he brought my band, The Ozone Ramblers, down to Nashville in 1983 to record. We recorded some of his songs, one was ....a song he wrote called ... oh shoot, I shoulda remembered that .. we recorded 4 songs but there was one in particular .. oh "Cowboy You're America". Bronson: Dave Dudley had cut it but he cut it like a dirge, really slow, and Johnny saw The Ozone Ramblers play up in Ft. Madison and approached us about coming to Nashville and doing our thing to it in the mode of, to try to make it where Charlie Daniels would want to record it so thats what we did. As you know I go way back with Johnny and Judy. Bronson: I think Johnny's had 50 cuts? Jake McVey: Somethin' like that, he's had quite a few. I mean stuff with John Michael Montgomery ..
Bronson: Barbara Mandrell ... Tiny Tim cut one of his songs (laughing). Jake McVey: Even Toby Keith so from the old to the new he's done a little bit of everything. Bronson: So now a lot of the songs that are on here are co-written with some of Nashvilles greatest writers. Jake McVey: Yeah I've been lucky. I mean I just went through a lot of John's catalog and stuff and the people he's written with. It's just worked out pretty good plus I had a couple that I wrote on there with him, co-wrote. I've met a lot of good people down here, it's the place to be that's for sure. Bronson: So you've been touring now for serveral years. You've got a bus and a trailer out there taking on the highway. I bet you love these gas prices. Jake McVey: (laughing) No, they're horrible. Bronson: (laughing) It's gotta kill ya out there trying to tour as an independent artist. Jake McVey: It's definitely tough right now. As you know I mean clubs that range .. it always varies but for most times they're consistent when you're doin' just clubs and you know when you set your budget and then you've got a gas problem like this it really offsets your budget and you try to pinch pennies anywhere you can. Bronson: Well a lot of folks would like to be doin' what you're doin' Jake as far as other artists up there. You got any advise for other people that are out there on the highway wanting to take it on? Jake McVey: Yeah I got a lot of advice. I guess make sure this is what you want. You know it can be whatever you want it to be. You really have to put your heart and soul in it and be willing to take sacrifice's. I missed out on a lot of friends graduations, marriages, all that stuff you know. I mean you don't even have time for a girlfriend if you stay that focused. You're gonna get things done but that's what it takes. You really gotta put everything you got in it and expect not a whole lot out of it you know, but just keep giving it. Bronson: I know you've been writing yourself. You told me you had some new songs you've been writing. Plans to record coming up? Jake McVey: Absolutely, you bet. Yeah I'm definitely interested in getting some things rolling again. We've been meeting with a lot of producers especially this week while I've been down here for Fanfair and everything. Yeah I'm ready to get the ball rollin', met with a lot of people. Bronson: Now you've been here all week. 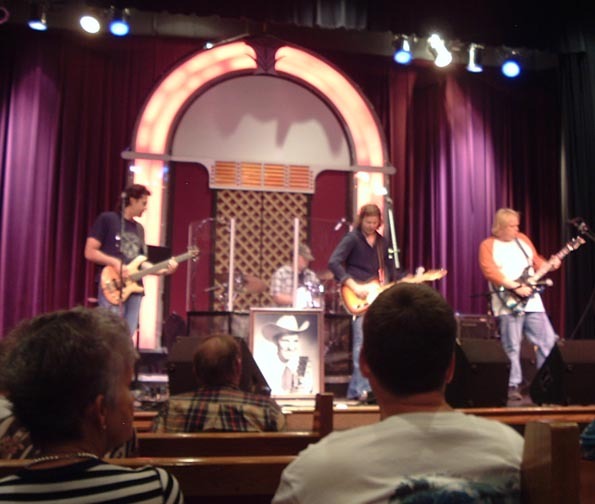 You played at the Ernest Tubb Theater and this afternoon you actually play at the Cadilac Ranch right? Jake McVey: That's correct, yeah. Bronson: You have a 4 peice band and you tour pretty much non stop when I look at your schedule. What are some of the places you've been just recently in the last few months? Jake McVey: The last few months, Michigan, we just came from their straight down here. 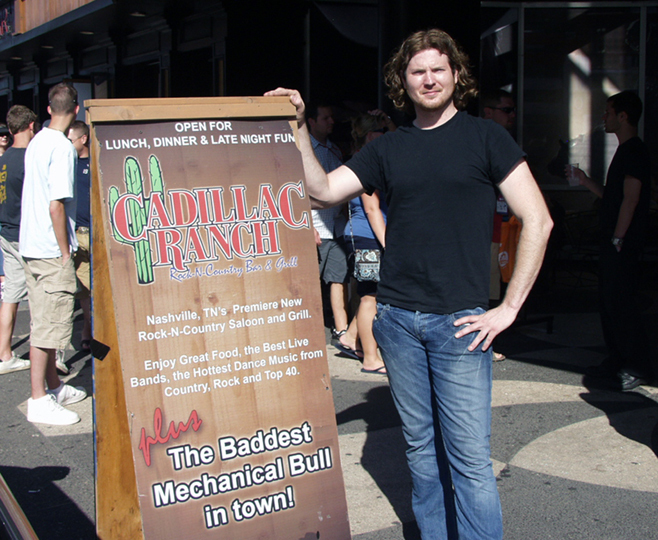 Billings, Montana, Cheyenne, Wyoming, been out west a lot you know and just did a couple of shows in Illinois. Yeah just all over the place. Sometimes I'd like to smack the booking agent (laughing) you know how that goes, routing you know (laughing). Bronson: Yeah it's supposed to 400 miles not 4000 right? (laughing) So you're going back to Iowa I know where you're from and you're playing tomorrow night in Mt. Pleasant, Iowa. Jake McVey: That is correct. Bronson: And that's an event that ... tell me what you're playin', what's the show? Jake McVey: It is a ... their local town square you know one of those little shows and it's just a thing for I believe it's the Turkey Federation. You know up there around that area they do a lot of stuff for Subway and everything so it's just a big festival for them they get to put on and tell everybody thanks for you know supporting them in that town. It'll be a pretty good time, I think this is their second year doin' it and they got like 3 bands going through. Bronson: Very cool. So now I know you have a big presence on myspace. Jake McVey: Yeah try to (laughing). Bronson: What is your myspace site? Jake McVey: It's myspace.com/mcveyjake. Yeah it's good, one of the greatest networks that I've come across. I mean I've got everything from musicians, producers .. I mean it is just amazing the people you can meet off of myspace. It's the new age you know. Bronson: So you have your own website though too? Jake McVey: Absolutely and that's just www.jakemcvey.com. Bronson: And when people want to buy your record, where do they go? Jake McVey: They can do it either off the myspace or off the website or just google Jake McVey and there's all kinds of outlets that pop up. Bronson: You have several different places. Have you got 'em on Amazon? Bronson: Very cool and Itunes and all that? They can download and do the whole bit? Bronson: Well Jake McVey, Unknown Highway, it's a really really good record. If you get a chance seek it out. Thank you for sitting with me Jake. Jake McVey: No problem, it's been a pleasure. Bronson: As you know man I'm big on Iowa talent and you're one of the best goin' man. Jake McVey: (laughing) Well thanks man I appreciate it. Bronson: Thank you and we'll see you next time.